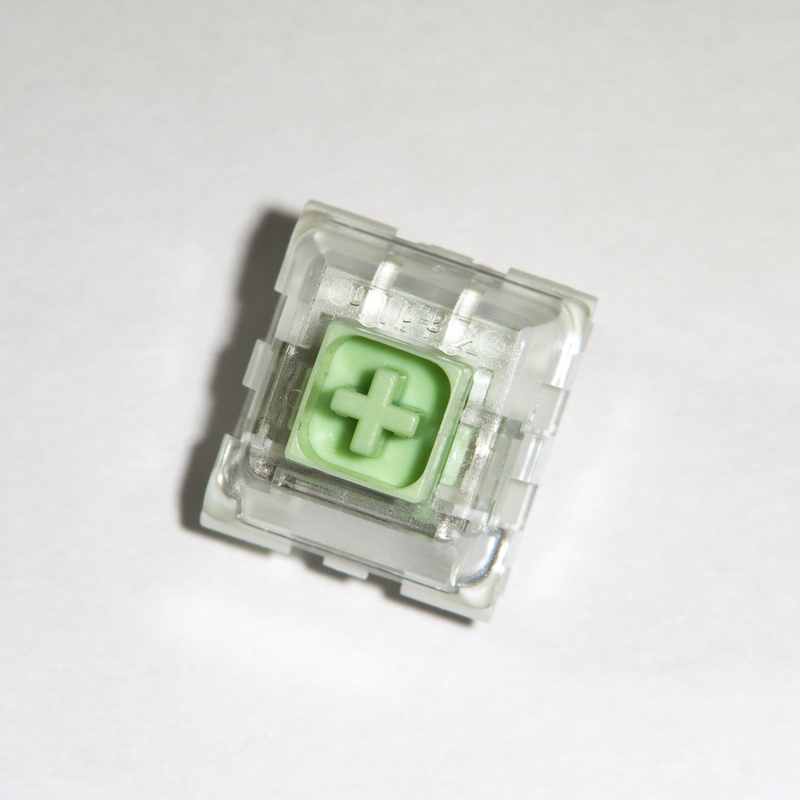 Kaihua Box Jade switches sport a beefed up click bar for extra tactility and noise, much like Box Navy switches, with a spring weight that matches Box Whites. Box Jades provide an easier downstroke than their Navy counterpart by making sacrifices in overall switch feel. Kaihua supersized the click bar in Box Jades. The switches are extremely, and very precisely, loud. Their solid downstroke “tock” is followed by a higher pitched upstroke tick. The sound is affected by contact movement, though the rasping noise is obscured by rapid typing. Most users state that click bars sound better than Cherry-style click mechanisms, and the larger click bar doesn’t sway that reputation. Click bar size directly affects tactility. These switches, unlike tactile-only box switches, feel precisely how their graph looks. A solid downstroke plateau serves up a “punch through the table” feel reminiscent of Alps switches. The low spring weight makes the tactile point seem extremely heavy, which is disconcerting for some users. Click bar reset during the upstroke results in near-complete force drop off. That tendency forces the user to remove all finger pressure during the upstroke, which isn’t the case with Box Navy switches. Box Jades implement all general switch improvements from their series. Per switch drainage, isolated contacts, and reduced stem wobble contribute to a solid platform.